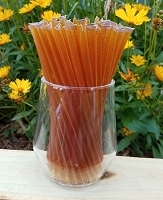 Star Thistle honey sticks (also known as honey straws or stix) are filled with star thistle honey. These are ideal for using in tea, coffee, energy boosts during exercise activities. Below pricing is for single variety only - no mix and match. 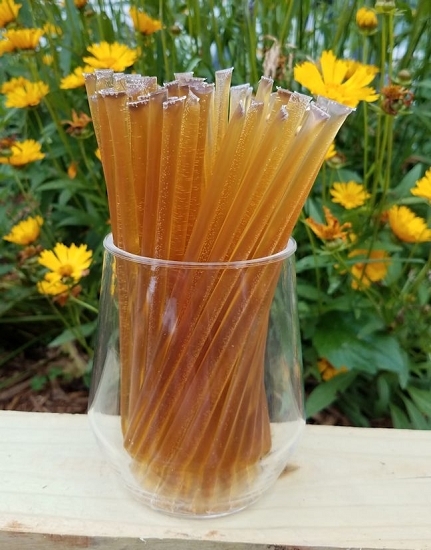 Star Thistle Honey Sticks (also know as honey stix or honey straws) are 100% natural, Grade A star thistle honey, packed in straws. To open them, just bite or clip the heat seal at one end, and then just squeeze the honey into your mouth. 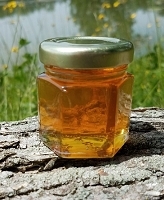 Thick and simple tasting honey. 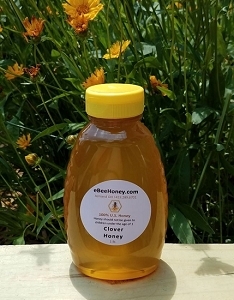 It has no aftertaste and is considered a milder version of clover honey in taste. Star Thistle honey sticks are certified Kosher. Kosher certification is by the Orthodox Union - Union of Orthodox Jewish Congregation of America, New York. Delicious honey! 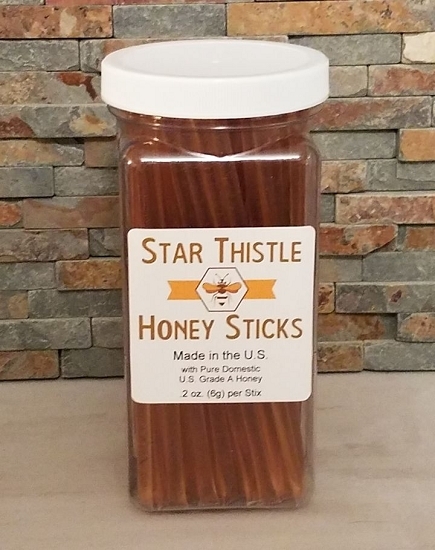 My grandkids and customers love these star thistle honey sticks! Love the subtle differences in all of the honey varieties we have tried. 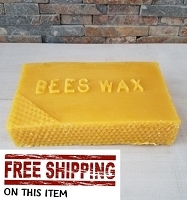 EbeeHoney is our go to online shop for our honey purchases. Quality products, fast shipping, great customer service. Have been pleased with all of our purchases here. Of all the different honey, this is my favorite. I keep a container on my desk for students and other visitors. They love it! these and the raspberry sticks were used for a recent wedding favor for my friends wedding. the guests and the bride were very happy. sweet and savory honey. best i have had, tastes like a cross between processed and raw honey. This made for a great addition to our wedding gifts. Gave us the able to introduce guest to a different variety of honey this way. This honey is surprising thick and very good. 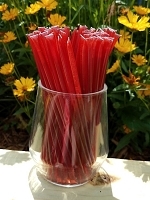 I keep these honey stix by the front entry in a pretty straw dispenser. 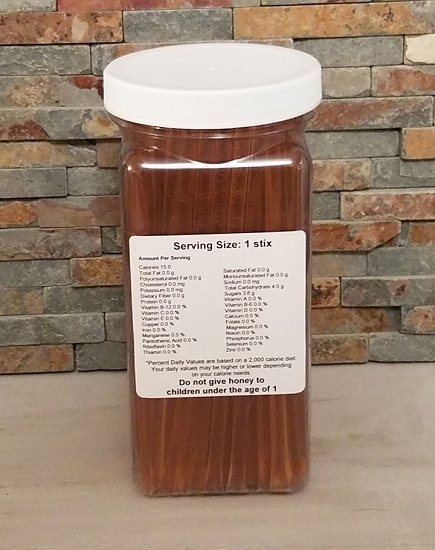 It's a great alternative to candy and it's easy to grab one as you head out the door! Visitors can easily help themselves to one and all think they are very tasty.